As a conservation charity working in an AONB, the Isles of Scilly Wildlife Trust has the responsibility of being the delivery team for parts of the Isles of Scilly AONB Management Plan; engagement, access, education and awareness-raising are a huge part of what we do, running alongside our land management and habitat restoration work. 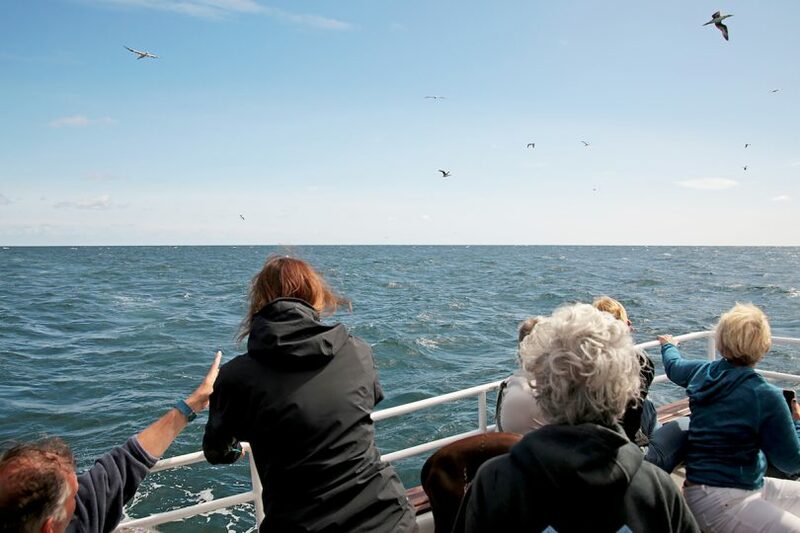 Each year the Trust provides a whole raft of educational activities and events across the Islands, endeavouring to get residents and visitors alike to fall in love with nature and enthused about protecting our natural environment, both marine and terrestrial, and this year has been no exception. Over the summer months, our small team (from our Education Ranger to our CEO) has offered guided boat trips, guided walks, insect safaris, beachcombing, rock-pooling and beach art sessions, supported the local Community Archaeology Group, attended Tresco Island’s Low Tide Events, delivered talks to school, college and university students, the U3A, supported local businesses through the Plastic Free Scilly initiative and a whole lot more. To date these activities have meant that we have engaged with over 3000 individuals and families face-to-face, with this number growing substantially when we add in our online community and following on Facebook (2728), Twitter (8597) and Instagram (1005). But what does this mean in reality and what are we hoping to achieve? Between February and the end of August this year, our small team has facilitated 40 guided walks, 32 guided boat trips, 29 guided beach events (rock-pooling, beach cleans and scavenger hunts), 17 talks to the general public or community groups/students and supported a number of Community Archaeology Group events. That’s essentially something every other day for the past 212 days, with an average of 24.5 people attending each event; however, our biggest events had 48 (rock-pooling), 50 (beach art), 64 (wildlife safari) and 101 (evening talk), people attend; which is no mean feat when you’re facilitating and presenting by yourself! All of our events are designed to be informative and inspiring, whilst getting across key conservation messages; we are very keen not to come across as “preachy” but also endeavour to tackle and engage individuals in some huge subjects which can be quite daunting. In addition to this, we regularly post new and informative content online via our social media channels; encouraging people to take part and join in, any way that they can. As well as the obvious, i.e. talking about the wildlife we come across, we share information regarding flora and fauna which are endemic, native and non-native to Scilly and the work our Ranger Team carry out to enhance, protect and encourage some species whilst managing and controlling others (as described in July’s Land Management article). And most importantly that the changes we all make, no matter how big or small, can and do make a difference. 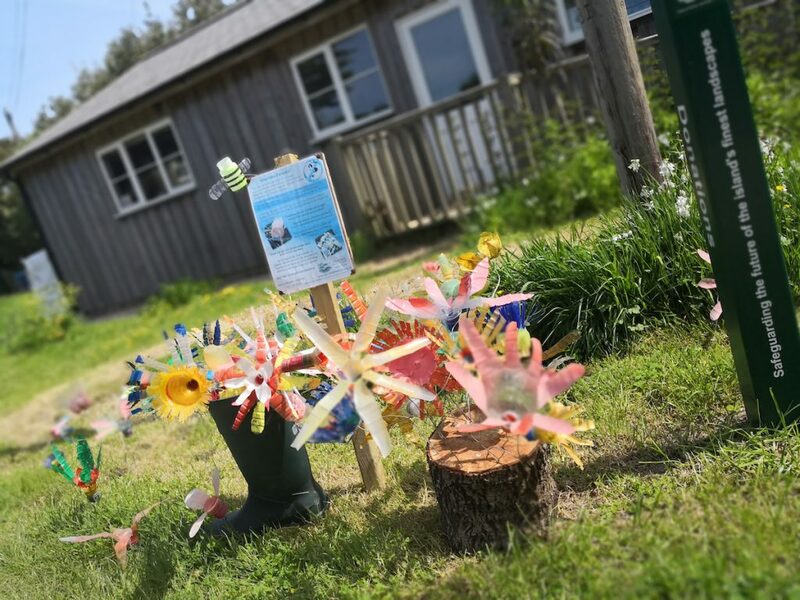 From creating bug hotels in a wild corner of your garden to taking part in a #2MinuteBeachClean or removing a handful of marine debris from the beach. We cover a huge amount of information in a very short period of time, linking it in to our day-to-day work, and the real life effects on our wildlife; we endeavour to make it fun and interesting whilst encouraging others to make small changes that are realistic and achievable. Our goal is to make nature and conservation accessible to all and not just the territory of professionals or those who are often described as “eco-warriors” or “greenies”. It’s really difficult to measure success when you’re talking about the impact you may or may not be having as an organisation, on people’s attitudes and beliefs; that said, we do believe that we are having an impact and some of the feedback we are receiving is encouraging; especially when it comes to our young people. 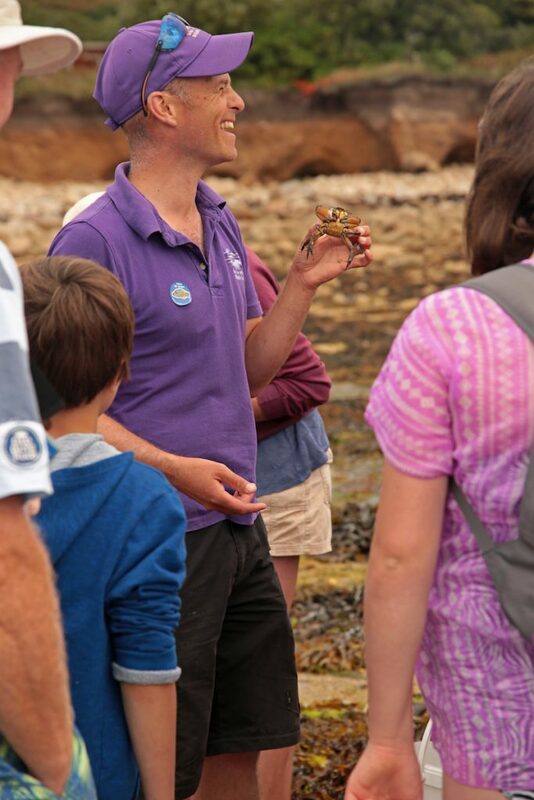 We regularly have children (and adults for that matter) at events who are scared of certain animals, often crabs, whose family and friends say “you’ll never get them to look at a crab let alone touch or hold one”. We have had a number of successes this year whereby young people and adults have amazed everyone by ending the session either touching or holding the creature they were adamant they weren’t going near at the start. Our sessions focus on sharing information, debunking myths and showing people how amazing these creatures are; often explaining their “super-powers”, like their ability to regrow limbs or shed shells. By doing this we hope that attendees will leave with more than they came with and share their new found knowledge with others, having a better understanding of why our wildlife behaves as it does and a new found respect for creatures (even if they still don’t like them). Invariably we talk about rubbish and waste at our sessions, whether on land or at sea. All of our school sessions, and many of our programmed events and activities, start or end with a #2MinuteBeachClean (we also strongly advocate the #2MinuteLitterPick for those not near the sea). Encouraging people to pick up and remove as much rubbish or debris as they can in a short period of time, emphasising that “I don’t have time” is not an excuse; everyone can spare two minutes on their lunch break, walk from the car to the office or dog walk, to collect a bag full of rubbish and dispose of appropriately. We regularly have parents stopping us now saying that their children are constantly picking up rubbish and putting it in the bin when they find it in places it shouldn’t be present. For us this is fantastic because if adults see children doing this, or if children query (usually very loudly!) why adults are dropping rubbish or not picking up rubbish when they see it, then most adults are going to feel ever so slightly pressured to do the right thing. Children don’t need a lot of encouragement to make the links between pollution and dangers to wildlife, and for them doing something about it is often very simple; they have an unending capacity to grasp huge subjects, more often than not surprising their parents, and other adults in their lives, but rather than becoming overwhelmed by the hugeness they just do what they can and what makes sense to them. We have lots of other anecdotal feedback of a similar vein in relation to our education work across the Islands. So although measuring the effectiveness of our education work is tricky in terms of quantitative data, we’re pleased that the qualitative information we are receiving is positive and evidencing changes in attitudes, beliefs and behaviours. If you like what you’re reading then why not follow us on Facebook, Twitter or Instagram to get regular, daily instalments regarding our ongoing conservation in our remote south-west corner of the UK? With updates regarding the Ranger Teams work programme, our events and education programme and the work of our Seabird Ecologist. If you’ve always wondered what it’s like to live on an Island then we can give you an insight into the comings and goings of Island life (if it’s not foggy! ); you never know you might even want to visit some day! Header Image: Wildlife Safari – Gannets. Credit: © BareFoot Photographer & IOS Wildlife Trust. 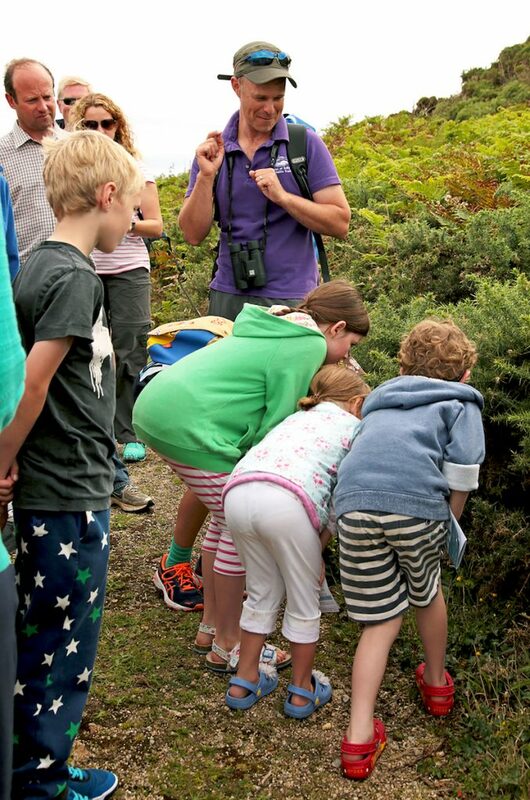 Article written by: Nikki Banfield (Communications Officer, Isles of Scilly Wildlife Trust).